Being Mortal describes how the health care system fails to serve Americans at the ends of their lives. 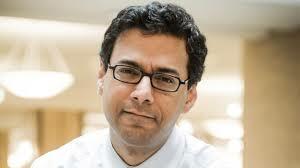 This is Atul Gawande’s best book. Remember that you have to die: Read this book and think it through. 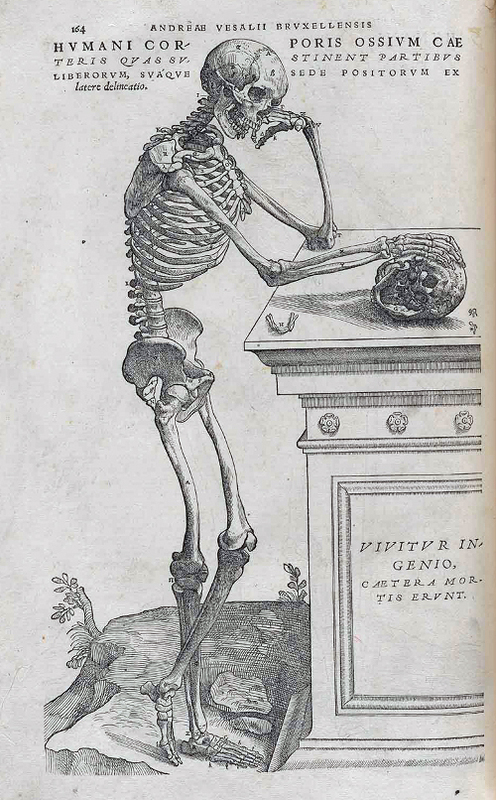 Much of Being Mortal is about how we fall short in caring for the dying. Gawande has, for example, a great chapter on the importance of the discipline of geriatric medicine and the likely consequences of our failure to train enough geriatricians to care for the growing number of elderly patients. 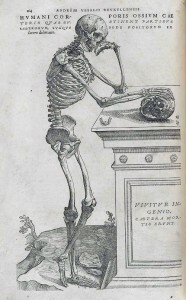 Illustration by Andreas Vesalius, 1543. But Gawande has more to say than “Let’s do better when we care for the dying.” There are deep challenges in providing care at the end of life that cannot be resolved simply through better technologies. As I read Gawande, he’s saying that the goals of the health care system do not engage with the goals of the dying in the right way. This is because the goals of individuals and the goals of the system are of different kinds. What do patients want and need? There’s no simple answer to that, because what we want is to do and have is what is valuable for us. And the things that are valuable for us are heterogeneous. Through our sentience and intelligence, we set our own goals and define our own projects. We have rich and varied practical identities: We are writers, cooks, parents, and so on. Our goals and plans are often expressed in terms of specific places, people, and artifacts. I make (awesome) fettuccine from scratch for my family. That happens in my kitchen. Perhaps you make chairs, with your tools in your woodshop. The medical system, however, is more often concerned with goals like maintaining adequate blood flow through my heart. This is my goal too! But I have this goal only because it is implied by my personal goals. It is not a goal I ever entertain. The medical system is concerned with generic goals from which the individual particularities are peeled away. Your ejection fraction has to be more or less the same thing as my ejection fraction, or the measurement isn’t meaningful. Without standardized measurements applicable across populations, the medical system cannot learn. Usually, medical efforts to advance our physiological goals comport well with our individual goals. But as we age our powers decline and we are increasingly at risk of life threatening illnesses. This interferes with many of our identity-defining life goals. Moreover, the intensity of medical interventions also rises. These interventions take us out of our places and away from our people, interfering further with the projects that define our lives. Long term care facilities aren’t set up for me to make pasta or you to make chairs. It gets worse. As we age, we are increasingly at risk for falling, an event that can trigger a devastating set of consequences. But falling is a risk of locomotion and most of our personal goals require moving. Unfortunately, when medical institutions try to protect patients from falls, they often restrict patients’ ability to move. Yet we live to play with our grandchildren, finish our manuscripts, and make one more batch of fettuccine. We don’t live to avoid falling. What we want to do to fulfil our goals and achieve wellbeing may conflict with what the medical system does in service to its understanding of our goals and wellbeing. There may be no happy resolution of this conflict. The best that can be achieved is a tradeoff of physiological and personal goals. Here Gawande has many important insights about how health care providers should talk with patients and family. The conversation should elicit the distinctive goals of the patient. The doctor needs to provide realistic information about what what is possible. They need to work together to find what the health care team can do to best fulfill the patient’s life projects. These are difficult conversations. First, there can be a problem of accountability. Providers are evaluated against the medical system’s goals which may be in tension with the patient’s goals. Second, some patients want doctors to help them end their lives (Marcia Angell criticizes Gawande’s discussion of assisted suicide here). But the law or the doctor’s ethical convictions may prevent her from providing this to the patient. Third, even when doctors provide accurate data about what medicine can and cannot do, patients are likely to misunderstand it, overestimating the likely benefits of treatment and underestimating its risks. Finally, when a doctor accurately describes the patient’s circumstances, the patient may perceive her as lacking compassion. I have faith — and I think Gawande has faith — that when providers speak with true compassion, they can speak truth to denial. Compassion is “being with,” a commitment to being present and caring even when there is no hope. However, we are still learning how to do that.